The fire department in Hamden, Connecticut, issued a community warning Wednesday following a rise in fires seemingly caused by electronic devices. The most recent fire occurred Wednesday morning. The fire had burned itself out, and only ventilation of the home was needed, but firefighters did find a smoldering pillow and bedding beneath a charred cell phone plugged into a nearby wall, according to WFSB News. That means, as horrifying as it is, apparently your cell phone can cause a fire if charged in the wrong place. Fire officials told Fox CT that cell phone and tablets need to breathe while charging because they generate extra heat during charging cycles. 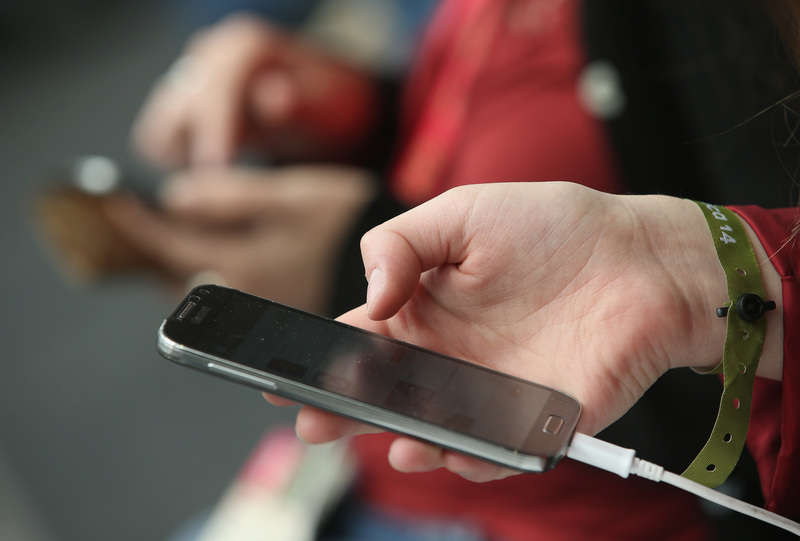 When devices are left covered during charging, they may build up heat and then ignite. It's the lithium-ion batteries in them that causes the ignition — they have pressurized containers that can rupture if the temperature rises quickly or they can melt if heated for an extended period of time. With the need to feel constantly connected and within an arm's reach of social media, more of us are guilty of sleeping next to our phones, and thus charging them there at night. But if you sleep with your phone close to you so that it will wake you up in the morning, turn up the volume more and move it onto a hard surface. If that doesn't work, go to a store and buy a Stone Age waking device: an alarm clock. This isn't the first time that a cell phone has caused a fire. Ariel Tolfree, a 13-year-old Texas girl, woke up in the middle of the night to the smell of something burning last July, according to The Huffington Post. She woke up and found that her charging cell phone had apparently caught fire under her pillow and ignited the pillow and the bedding. Thankfully, she wasn't hurt. Clayton, North Carolina, high school student Blake Joyner wasn't as lucky. He was getting out of his truck when he noticed smoke and flames coming from the pocket of his shorts. His phone had apparently caught fire and burned through his shorts. He stepped out of them as fast as possible and stamped them out, but he still suffered first- and second-degree burns on his legs, according to WRAL. Similar alleged incidents happened in Maine, where a 13-year-old girl's legs were burned after her phone caught fire, and a New York man's phone exploded in his pocket, according to WRAL. Further, sleeping with your cell phone is just bad for your health. Studies have found that sleeping next to your phone can disrupt your sleep in two ways: First, cell phones pump out electromagnetic radiation, which delays and disrupts sleep, according to Policy Mic. This radiation can impact the body's stress systems causing anxiety (coupled with the anxiety of having access to our emails and applications before bed). Second, cell phones give off blue light, which can inhibit the production of the sleep-inducing hormone melatonin and disrupt our circadian rhythms, according to ABC News. What's the lesson here? You and your phone need some space. Because it's a safety issue, apparently, and it could also be a health issue.